Life science companies are missing out on the benefits of open innovation. Phillip Phan is a professor of management and organization at Johns Hopkins University in Baltimore, Maryland. Dean Wong is a professor of radiology, neurosciences, psychiatry and environmental health at Johns Hopkins University in Baltimore, Maryland. The technology sector has for decades been a champion of open innovation. 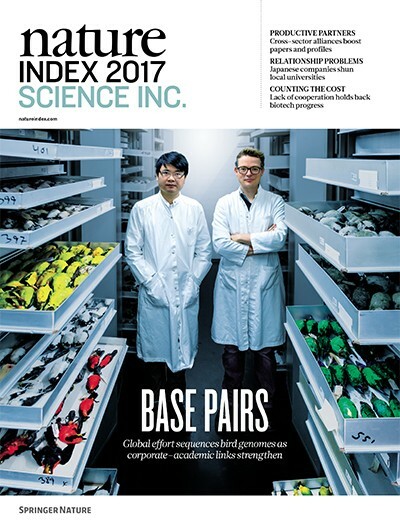 By contrast, companies in the life sciences have steadfastly refused to share their knowledge, even within arrangements that protect their competitive interests. Their continued reticence could cost them, and society, dearly. In the mid-1980s, the United States semiconductor industry lost its market dominance to tough competition from Japan. A decision by US producers to form the research alliance SEMATECH revitalized the trade. Fourteen chipmakers, including Intel and Texas Instruments, banded together to solve their shared problems and establish standards for chip design and manufacturing. By the early 1990s, the industry had regained its footing, and, to this day, controls almost half the global semiconductor market. The SEMATECH story affirms the transformative power of open innovation, with similar examples across the technology sector of companies drawing on the knowledge of their peers. Shift the focus to the life sciences, however, and there is scant evidence of open innovation, though the need is great. Pharmaceutical companies are spending more on research and development and taking longer to bring drugs to market than ever before. All the while, medical conditions such as cardiovascular disease, diabetes and mental health are costing economies and healthcare systems more every year. Efforts to engage life science companies in open innovation have been hampered by the industry’s continued reticence to share. The result is shrinking pipelines, a wave of drug patent expirations ending in sudden drops in revenue, and poorly served public health. The industry has abandoned entire programmes in disease conditions where needs are growing, such as psychopharmacology. In 2006, the US Food and Drug Administration established the Biomarkers Consortium, a public–private partnership managed by the Foundation for the National Institutes of Health (FNIH), which seeks to accelerate the development of new treatments for a broad range of diseases. It focussed its research efforts on those parts of the innovation pathway that were deemed not competitive by industry. Yet to date, member organizations of the Biomarkers Consortium have only reported two cancer drugs and four antibiotics. Another collaborative effort by the Alzheimer’s Disease Neuroimaging Initiative has yielded substantial biomarker data, but no confirmed treatments. Our own failed attempt to facilitate open exchange between pharmaceutical companies offers some useful insights. In 2005, together with the American College of Neuropsycho-pharmacology and the Academy of Molecular Imaging, we proposed the creation of a trusted clearing house for pharma companies and academia to share radiotracers used in early studies of drug targets in the brain. The facility would be hosted by a non-conflicted third party. In talks with six companies, we encountered four objections, which persisted despite endorsements from two academic societies, legal vetting, and the support of pharma scientists. Companies were worried that pre-competitive sharing might spill into the competitive space. They argued that knowledge of the target being validated could cue rivals to the pathways being investigated. Hence, sharing, when it happens, occurs only within tightly enforced closed contracts. The second complication arose from the ‘winner-takes-all’ mindset in drug development. 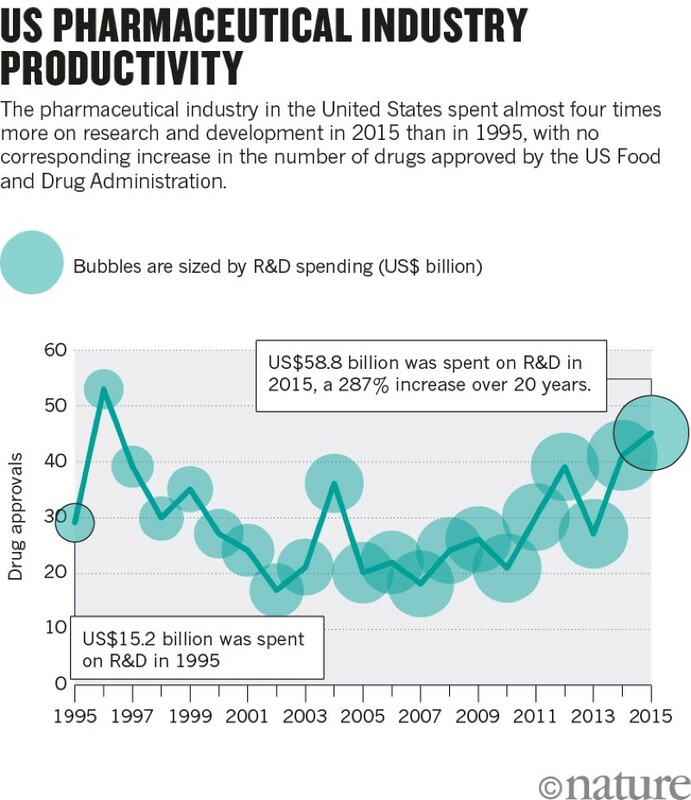 Escalating R&D costs and poor clinical trial outcomes have made companies increasingly dependent on blockbuster drugs, which prompts them to adopt a defensive posture in managing intellectual property. To preserve control over the innovation pathway, they often acquire single-project biotechnology companies. Ironically, shortened investment horizons are also forcing pharmaceutical companies to outsource early-stage investigations and focus spending more on marketing — a third problem. Finally, life science companies are less willing to invest in tools and standards that are non-excludable, an economic term referring to goods that people can’t be restricted from using. There is a sliver of light. In 2012, Johns Hopkins Medicine, with four other academic drug discovery centres, created the Academic Drug Discovery Consortium. The network now includes 149 centres in 16 countries, which provide a platform for sharing expertise and early pre-competitive discoveries, and fostering cooperation between academia and industry. The consortium’s rapid expansion highlights the need and, perhaps, the academic culture of knowledge sharing. This culture puts the consortium closer to an open system, and repudiates the bias against sharing in the life sciences.